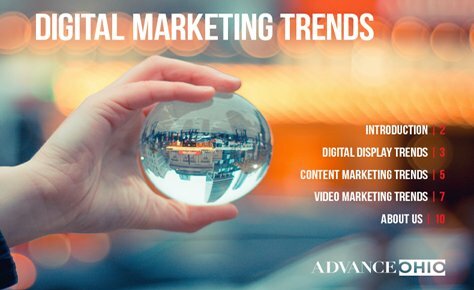 These trends proclaim to make marketing work at maximum efficiency. Projection mapping, VR and chatbots are a few buzz words we have begun to see taking off and will continue to hear about moving into the future. We’ll touch on these trends but also realize they are unrealistic for most small to mid-size businesses. Here’s our take on actionable insights you can (and should) incorporate into your marketing strategy, including advances in online display targeting, content marketing and video.